Cardiff. It’s a great city. 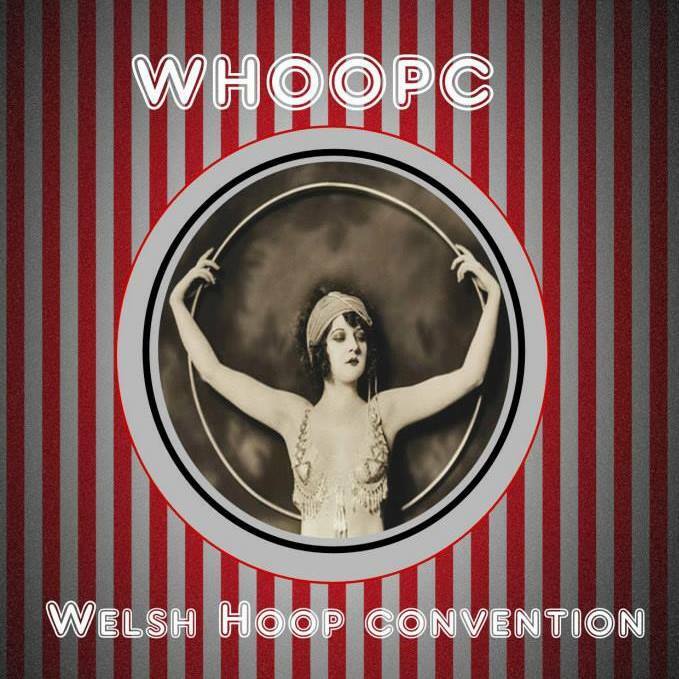 And it’s only gone and got itself the first ever Welsh Hula Hoop Convention (the fabulously named WHoopC!)! For hula enthusiasts or total beginners, get yourselves along to Jacob’s Market on Bank Holiday Monday (6 April 2015) where you can spend the day learning all manner of impressive hooping moves with some hooping greats! WHoopC has been put organised by Ellie Pilott of Elliecopter Hoops and Mary Bijou Cabaret and Esther Fuge of NoFit State Circus. Ellie answers some questions for us about what you can expect from the day! Q. How did you get into hooping? A. I was inspired by hula hoop when I saw the first Immortal performance by Nofit State Circus in 2004. They had an act where three hoopers would hoop and drink tea. What a perfect combination! Q. The convention! How did you get the idea to set it up? A. My friend Esther Fuge mentioned it after a hoop class a few weeks ago. Initially I wasn’t that interested as I thought it would be a lot of organisation, but then I thought, there are hoop conventions all over the world, from Bali to Bristol and Wales doesn’t have one – so we should do it! Q. What can people expect on the day? A. You can expect some amazing workshops from two international hoopers, most definitely some of the best in the World. Lisa Lottie is exceptional at hooping and is booked all over the World to perform and teach. We also have Miss Polly Hoops who is also an international performer. She has taken her hoop street show all over the world and is currently the youngest street performer in Covent Garden. I will also be teaching a beginners workshop (I teach at Nofit State and under Elliecoptor Hoops at The Abacus the last Wednesday of the month). Esther Fuge will be taking a contemporary hoop class (her background is in dance but she has been performing and teaching with Nofit State Circus for a few years now). We also have electro-swing hop dance workshops from the Kitsch n Sync Ladies, circus workshops (to be revealed), and lunch is included from the wonderful Penylan Pantry! A unique antiques market just 2 minutes from Cardiff’s main railway station. Nestled between newly developed buildings, find Jacobs and you find a delicious treat indeed as betwixt its doors lies treasures, trinkets and a collective of eccentric sellers to tickle your funny bones. This includes lunch, workshops, skill share and hoop jam. Lunch is provided by Penylan Pantry: a seasonal honest delicatessen and food store that aims to promote local producers, the environment and health lifestyle. Provides vegan, gluten free. Drop in may be available at a later date to certain workshops.